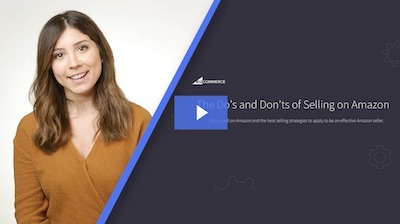 Chapter 1 How Rollie Shoes’ Amazon Channel Manager Hit Amazon Selling Success in Less Than 7 Months Chapter 2 Is Your Business a Good Fit for Amazon? As a former journalist, the plethora of clickbait headlines across the web is nauseating. I’ve had to draw the line plenty of times in my writing career, refusing to call something “definitive,” comprehensive” or “all-inclusive” if it wasn’t that. This piece of content required no such moral delineation. This book’s headline, Definitive Guide, is the only possible way to describe what you will find in the subsequent chapters. It is by far the most complete and actionable information out there discussing how exactly to sell on Amazon. And, it is the third edition. Beginning in January 2016, I worked tirelessly to find Amazon experts around the globe who would be willing to share the secrets to their Amazon success. BigCommerce finally published the collection of that material in August of 2016. Since then, we’ve updated it every year, reaching back out to the experts to update content where needed, as well as adding in chapters to cover Amazon’s ever-expanding business. Amazon Advertising: What it is and how its dynamics are challenging Google and Facebook, making Amazon tons of money –– and is also incredibly impactful for ecommerce brands. Amazon Fraud: It is real. And ignoring it won’t make it go away. Real advice on what to do right now to make sure you aren’t a victim. Amazon Success: How and why to launch an Amazon sales channel – and how fast it can start to pay off (i.e. near immediately). Amazon Pay: How Amazon’s one-click technology is helping branded website solve for checkout drop off. And those are merely additions to what this book as always offered: unparalleled Amazon selling advice, insight and help. Here are some things you’ll find throughout the book. The benefits of selling on Amazon. Amazon success stories for inspiration. How to determine if you should sell on Amazon. Understanding the Amazon A9 algorithm. 7 skills you must have to win on Amazon. Pitfalls that trip up even the best Amazon sellers out there. A step-by-step guide to determining your actual Amazon revenue. How you could lose on Amazon by winning – and other tips and tricks to avoid a double-sided sword. How to win the Buy Box, as told by Feedvisor, the unencumbered champion of Buy Box wins, where 82% of Amazon’s sales happen. Why mobile matters most – 70% of Amazon customers made purchases on Amazon’s mobile site – and how to optimize for it. Pricing and repricing strategies for both resellers and private label sellers alike – plus tips to make you more, faster. How to get a 320% increase in sales in less than 10 minutes (hint: Amazon has SEO, too). What The Mountain has to do with an Amazon customer review legend – and how you can jump start your own with a simple email. Growth hacking tips and tricks that could earn you $5,000 for every hour you spend focused on Amazon. What Amazon Business is – and will likely become (i.e. the future of Amazon). Stories from brands who love Amazon Pay, and why Amazon Pay’s team is focused on helping store owners on their own sites –– not on the marketplace. Also, how to get that control back (hint: lawyers may be needed). As you may know, the original publishing of this book was eight months in the making – with the first email sent out to a subject matter expert on January 21, 2016. That first book was launched in August 2016. BigCommerce had just recently published the first ever Amazon Sellers’ Solution Provider Directory – highlighting more than 200 solution providers across a wide range of Amazon needs and complexities. It was our most downloaded piece of content at that time. James Thomson, former head of Selling on Amazon and an author you’ll see plenty of times throughout this book, was the mastermind behind that project. His name and proposal landed on my desk in the hibernation days between Christmas and New Years, when most Americans and almost all retailers are in the throes of a rest period following the holiday rush. That 30-page book was published two weeks later, forcing itself to the top of priority cycles that typically take much longer – especially with multiple team members out on vacation. It was all hands on deck – and I had called them there, asking many to spend a few extra hours over the holidays to help me make this book come to life. I was putting my neck on the line – calling in favors before the first day of the new year even began. Soon, I was sending James emails asking him to review a table of contents for a longer-form, more comprehensive piece on how to sell on Amazon. It’s safe to say that my call with James that late December day was a light-bulb moment for me. He agreed, and the vetting process began. That first email went out. This now 45,000+ word book had its first heartbeat of life. The 2016 version had 15 chapters, featuring the insights of more than 30 Amazon subject matter experts. In 2017 version had 17 chapters, featuring the insights of more than 50 Amazon subject matter experts. This year’s version has 18 chapters – and features insights from more than 70 Amazon subject matter experts. We left no stone unturned, nor did we include any information we believed to be superfluous. You will find everything you need to start selling and winning on Amazon in this book. I can also assure you it will be a vital resource you continue to reference as you grow Amazon as a revenue channel. Even for those sellers already highly profitable on Amazon, there are nuggets of insight to even further increase sales and operationalize your Amazon business. In the meantime, here’s the quick starting list of everything covered in this book, boiled down to 8 steps. How Do I Quickly Get Started Selling On Amazon? Decide on items you will be selling through Amazon. Choose your Amazon selling plan. The professional plan costs $39.99 per month and individuals pay $0.99 per item sold. Drive traffic to your listings (described in detail throughout the guide). Get paid — payments will be deposited in your bank account. It’s safe to say this book has taken on a life of its own. It’s purpose is help your sales on Amazon do the same.